This ‘Unions’ section is arranged in the following hierarchy. Your comments are appreciated. Meeting of Affiliates (Queensland Council of Unions) regarding IR Legislation and award modernisation will be held at 10:00am in the Alex Macdonald Room, Level 5, TLC Building, 16 Peel Street, South Brisbane. You would have to wonder whether the union leaders at the QCU think unions can survive under Labor governments, federal and state. ACTU president, Sharan Burrows, had no answer when the Rudd government moved to legislate for 18 weeks parental leave without any reference to the unions. The aim of federal Labor seems to be to bypass the unions and set wages and conditions centrally by legislation, thus side-lining the importance of service oriented unionism. Unions should not be service oriented and seeking only to improve wages, they should be pushing for greater democracy in the workplace where workers have a genuine say in the work that they do. The union should be less concerned about what the CEOs are think about workplace issues and should be prepared to go into the workplace and tell the boss to get stuffed. The following is a summary of the Industrial Relations (IR) Policy accepted at the National Labor Party Conference in April 2007. It is included here in the interest of clarity and completeness. I do not agree with this policy imposed on workers in the interests of managing capitalism. However I have refrained from making comment except where necessary to distinguish it from existing IR policy under the 2007 Howard coalition government. One National System for the Private Sector using co-operation and referral of powers by the Labor States (currently all states and territorities). Australian Industrial Relations Commission (AIRC) and other agencies (Fair Pay Commission, Office of Employment Advocate etc) to be replaced by Fair Work Australia. Fair Work Australia will include a separate division with jurisdiction to hear and determine unlawful dismissal claims, matters relating to Labor’s minimum entitlements and freedom of association. Pattern bargaining. The policy is worded as follows “Where more than one employer and their workers or unions with coverage in the workplaces voluntarily agree to collectively bargain together for a single agreement they will be free to do so”. Abolishes Australian Building & Construction Commission (ABCC). However Fair Work Australia’s inspectorate will have specialist divisions and the first two will be for building and hospitality industries. in certain circumstances, take protected industrial action. No strike without a secret ballot. Workers can take protected industrial action. The ballot process will be supervised by Fair Work Australia. Unlawful for employers to pay strike pay. Employers may lock out workers in response to industrial action by those workers. 1. Hours of work — 38 hour week for full time workers. Workers may be required to work additional hours, but cannot be required to work unreasonable additional hours. 2. Parental leave —both parents entitled to up to 12 months of unpaid leave associated with the birth of a baby. Also chief care giver to child may be entitled to additional 12 months of unpaid parental leave from their employer. 3. Flexible work for parents — right for parents to request flexible work arrangements until their child reaches school age. 4. Annual leave — 4 weeks’ paid annual leave for full time workers. Part time workers paid pro rata. Shift workers entitled to additional paid week of annual leave. 5. Personal, Carers and Compassionate leave— 10 days’ paid carers leave each year. Part time workers leave paid pro rata. Compassionate leave on the death or serious illness of a family member or a person the worker lives with. Additional 2 days of unpaid personal leave where required for genuine caring purposes and family emergencies. Paid community service leave for jury service and unpaid leave for emergency services duties. Labor’s industrial relations system will guarantee public holidays. Workers entitled to penalty rates on public holidays as set out in the award. Employers to provide information about the worker’s rights and entitlements at work, including the right of the worker to join a union. 5. Penalty rates for workers doing shifts or working on unsocial, irregular or unpredictable hours, on weekends or public holidays. if the worker is not covered by an award, the worker must be earning annual remuneration of less than $98,200 (to be indexed). 7 days to lodge claimRemedy for unfair dismissal may be reinstatement or compensation. There will be a cap n compensation paid. Published at http://www.alp.org.au/media/0407/msirloo280.php . Website checked on 2 May 2007. On May 1, 1886, Albert Parsons, head of the Chicago Knights of Labor, with his wife Lucy Parsons and two children, led 80,000 people down Michigan Avenue, Chicago, in what is regarded as the first-ever modern May Day Parade, in support of the eight-hour day. In the next few days they were joined nationwide by 350,000 workers who went on strike at 1,200 factories, including 70,000 in Chicago, 45,000 in New York, 32,000 in Cincinnati, and additional thousands in other cities. Some workers gained shorter hours (eight or nine) with no reduction in pay; others accepted pay cuts with the reduction in hours. Lucy Parsons was well known not only for her labour activism, but her great culinary skill. Often at the Parson’s family home labour activists would gather to discuss their campaign for the eight hour day and discussed strategies over a meal prepared by Lucy. One of her favourite dishes was one that had come from the Chinese workers on the Californian goldfields, a simple steamed chicken dish, garnished with available spices including a ginger sauce. Her own diary of the time recorded such a meal on May 2, on the eve of yet another demonstration in support of the eight hour day. On May 3, 1886, August Spies, editor of the Arbeiter-Zeitung (Workers Newspaper), spoke at a meeting of 6,000 workers, and afterwards many of them moved down the street to harass scabs at the McCormick plant in Chicago. The police arrived, opened fire, and killed four people, wounding many more. At a subsequent rally on May 4 to protest this violence, a bomb exploded at the Haymarket Square. The rally began peacefully under a light rain on the evening of May 4. August Spies spoke to the large crowd while standing in an open wagon on Desplaines Street. According to many witnesses Spies said he was not there to incite anyone. Meanwhile a large number of on-duty police officers watched from nearby. The crowd was so calm that Mayor Carter Harrison, Sr., who had stopped by to watch, walked home early. Some time later the police ordered the rally to disperse and began marching in formation towards the speakers’ wagon. A bomb was thrown at the police line and exploded, killing policeman Mathias J. Degan. The police immediately opened fire. While several of their number besides Degan appear to have been injured by the bomb, most of the casualties seem to have been caused by bullets. About sixty officers were wounded in the riot, as well as an unknown number of civilians. In all, seven policemen and at least four workers were killed in the riot. There is no accurate count of the latter, as those injured were afraid to seek medical attention for injuries, fearing punishment for their part in the riot. Eight people connected directly or indirectly with the rally and its anarchist organisers were charged with Degan’s murder: August Spies, Albert Parsons, Adolph Fischer, George Engel, Louis Lingg, Michael Schwab, Samuel Fielden and Oscar Neebe. Five (After an exhaustive trial where all eight were found guilty and seven sentenced to death, appeals saw two of the men having their death sentences commuted to life imprisonment. Of the remaining five, one (Lingg) suicided on the eve of his execution while the next day, November 11, 1887, Spies, Parsons, Fischer, and Engel were hanged together before a public audience. Taken to the gallows in white robes and hoods, they sang the Marseillaise, the anthem of the international revolutionary movement. Family members including Lucy Parsons who attempted to see them for the last time were arrested and searched for bombs. None were found. August Spies was widely quoted as having shouted out, “The time will come when our silence will be more powerful than the voices you strangle today.” Witnesses reported that the condemned did not die when they dropped, but strangled to death slowly, a sight which left the audience visibly shaken. The American Federation of Labor, meeting in St Louis in December 1888, set May 1, 1890 as the day that American workers should work no more than eight hours. The International Workingmen’s Association (Second International), meeting in Paris in 1889, endorsed the date for international demonstrations, thus starting the international tradition of May Day. The trial is often referred to by scholars as one of the most serious miscarriages of justice in United States history. Most working people believed that [private detective] Pinkerton agents provoked the incident. On June 26, 1893, Illinois Governor John Peter Altgeld signed pardons for Fielden, Neebe, and Schwab after having concluded all eight defendants were innocent. The governor stated that the real reason for the bombing was the city of Chicago’s failure to hold Pinkerton guards responsible for shooting workers. The pardons ended his political career. The Australian Bureau of Statistics (ABS) issued its latest figures on wages and union membership on 3 April 2007 . Briefly, the main ABS findings are that the decline in union membership has continued despite the unpopularity of WorkChoices. Meanwhile average weekly wages have continued to rise (caution with this statistic, some workers are better off while those working in retail, tourism and hospitality have gone backwards). 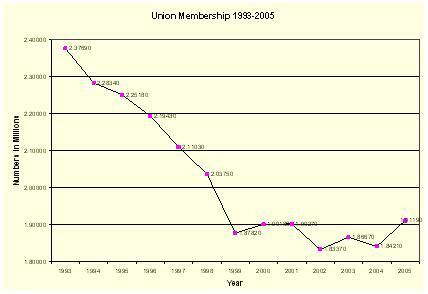 Unions lost 126, 000 members between August 2005 and August 2006. The Murdoch Press claims that the largest losses are in Western Australia in the resources sector. If you look at the data there have also been very large losses in the Australian Capital Territory which now has the lowest union participation level in the country (Tasmania has the highest). The losses in Western Australia are severe but this process started a long time ago. The mining unions were also hit hard under the Hawke Labor Government when Charles Copeman (former CEO of Peko-Wallsend) sacked 1000 workers at Robe River in 1986. Copeman defied orders from the Industrial Relations commission to reinstate the workers. By the time the workers went back their unions had been forced to concede many conditions. This was the end of strong unionism in the Pilbara. The strike of Capital was similar to events in the 1998 MUA dispute when Corrigan (Patricks) sacked its entire workforce. So put in perspective, the ABS data shows a decline that started long before WorkChoices, it began 30 years ago. The decline started to run out of control during the 1983-1996 Labor governments with more members lost during Keating’s reign (1991-1996) than during the long years of the Howard Coalition government (1996- ). See the graph below showing the decline till 2005 (according to ABS data). Unions have lost one quarter of their total membership since the Keating Labor government came to power. The decline has continued throughout the ensuing period, save for a brief respite after the 1998 MUA dispute. Currently 1,786,000 trade union members is the lowest number in real terms since the 1890s. The number of male union members fell below 1 million for the first time since the Great Depression. The lesson from history is that an ALP pledge to scrap Australian Workplace Agreements (AWAs) is not enough. The anti-union laws are many, WorkChoices is just one of a long line of laws that restrict workers democratic rights. Unions should reduce their fees and start fighting because the union strategy of changing the laws through getting the ALP into government is a high risk strategy that is not working. The ACTU has collected $20 million to help the ALP win the next election. But what about the Tristar workers in Sydney losing their jobs without the correct redundancy. What has the ACTU done for them? Call a secondary boycott of the plant? Use the money as a fighting fund? No. Then Marty Peek, a union shop steward who worked for Tristar Steering and Suspension, was sacked on 31 March 2007 after 35 years’ service with the Marrickville car parts manufacturing company. Was any industrial action called? All the Australian Manufacturing Workers Union (AMWU) could come up with is to go to the federal industrial magistrate, cap in hand. Of course the union will use members if its only strategy is to go to court. Forget the federal election campaign, start the fight for workers, their jobs, and their conditions. THREATS TO UNION SOLIDARITY: community protests attacked under the Trade Practices Act. The Federal coalition Government is to introduce legislation to strengthen the secondary boycott provisions of the Trade Practices Act 1974 (TPA). This move by the government will have a major impact on attempts by environmentalists to blockade loggers. The new amendments will restrict workers picketing firms like Spotlight when it tried to introduce Australian Workplace Agreements (AWAs). It is also aimed at preventing community groups from supporting unions as occurred during the 1998 MUA dispute. This has been a tactic used by the ACTU in its campaign to defeat WorkChoices. Therefore defeat of these types of laws is just as important as the defeat of industrial relations legislation such as WorkChoices. As it gets closer to electoral defeat, the government will rush through more of these laws to have them in place so they can block change in the senate. 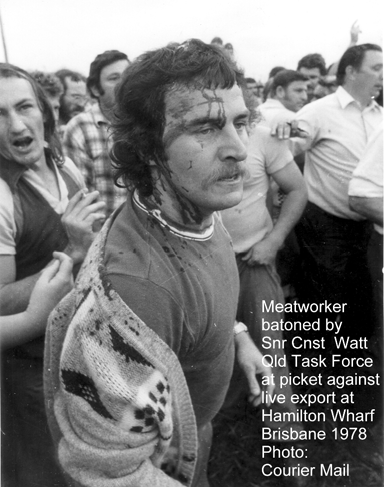 The photo shows meatworkers engaged in secondary boycott on Hamilton No 4 wharf in Brisbane in 1977. This action to protect their jobs would have been severely restricted or impossible under the Trade Practices Act changes proposed by Costello. In 1977 Bjelke Petersen used his police task force to stop the meatworkers. The proposed legislation would enable even greater attacks on their right to organise. Treasurer Peter Costello said the amendment to the TPA would allow the Australian Competition and Consumer Commission (ACCC) to bring representative actions for breaches of the Act’s secondary boycott provisions. The move will give the ACCC unprecedented powers to stop boycott action by unions and other organisations, including community groups. The Government says the aim is to help small businesses damaged by boycott conduct but lacking financial resources to initiate private litigation. Mr Costello said the Government had also been consulting on a separate bill to strengthen the misuse of market power and unconscionable conduct provisions of the Trade Practices Act. These amendments would be introduced into parliament in the near future in a separate bill. Treasurer Peter Costello: Government amendments to the Trade Practices Act 1974. 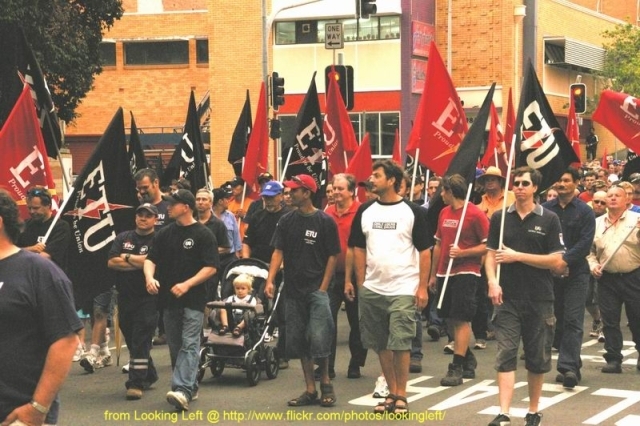 BushTelegraph have received confirmation from Craig Darlington, an organiser with the Australian Services Union (ASU), that workers at Boonah Shire Council were banned from wearing “Your Rights at Work promotional material” prior to yesterday’s anti-WorkChoices rallies. “I can confirm that the CEO of Boonah Shire Council issued a memo on 28 November banning staff from wearing or displaying ‘Your Rights at Work‘ promotional material; a copy of the memo is attached for your info. The ASU advised members that the memo was a lawful direction. However we discussed with our delegates a number of strategies to thwart the intention of the ban and the members themselves decided on the actions they would take. On 30 November, members from all unions at Boonah Shire Council wore their Your Rights at Work orange wrist-bands to work inside out, while some staff also wore orange coloured ribbons and clothing. We fully support our members actions on this matter and further action against the ban will be ongoing. I refer to the Your Rights At Work Campaign that has recently been promoted through the workplace. I advise that I consider this campaign to be a political campaign which has not been endorsed by Council and hence any promotion of the campaign is not permitted in the Council workplace. The wearing or displaying of material involved in this campaign is therefore deemed to be inappropriate and it is also considered to be not appropriate that staff be involved in the promotion of this campaign in Council time. I request the cooperation of all staff in abiding by this directive. A short time ago construction workers were ordered to remove a giant Your Rights at Work banner which was unfurled on the Advertiser building site in the city this morning. The workers were also threatened with fines if they wore Your Rights at Work t-shirts, displayed Your Rights at Work stickers on their hard hats and equipment, or if they possessed leaflets about Thursday’s event. So, simultaneously in South Australia and Queensland, bans have been placed on the wearing of “Your Rights at Work” clothing, stickers and banners. This is how Ernie Lane describes what was done to overcome the ban in chapter 9 of his book “Dawn to Dusk“. “This reversal of form arose from a strike of the Brisbane Tramway Employees Union in January, 1912. The union badge was placed on the prohibited list by the manager, and members who insisted on wearing their badges were sacked. The dispute quickly developed, culminating in a strike of drivers and conductors. “The chairman (Coyne) said that the strike was a very drastic weapon and every other avenue should be explored before adopting the strike. I retorted that we had been exploring every avenue for a long time with absolutely no success and only the strike method was left. The unions had to use it in support of the tramwaymen – of a vital union principle – or throw in the towel. A new weekly presentation of international labour news is being organized on the Internet. The audiocast – called Solidarity News – will be available on RadioLabour.net every Monday morning. RadioLabour is the brainchild of Marc Belanger — the founder of SoliNet, which was the first trade union online network back in the 1980s. Solidarity News will focus on union and workers’ activities and issues from around the world with special emphasis on emerging market and developing countries. RadioLabour reporters will provide regular weekly presentations, but a special feature of the audiocast will be reports from unionists who want to report on particular events or publicize an activity of their organization. Scripts of the audiocasts will be available as aids for unionists who want to learn the use of English as an additional language in the international labour movement. On 4th September 2009 the Australian Industrial Relations Commission (AIRC) handed down a decision which significantly cut rates and conditions in existing airlines Awards. This decision has slashed entry level rates by $3,964 a year, with the top rate cut by a staggering $12,561 a year. Gone too are transport allowances, social disability allowance and the tropical zone allowance. While the AIRC response is disappointing, the message for ASU members is we cannot let this Award stand and we must do whatever we can to convince the Federal Government to tell the AIRC they must correct this significant problems this new Award will create. The Government has intervened before in other industries; we must ask them to do this again. A new email campaign has been established. The link for the email campaign is http://tinyurl.com/awardcrash. Last time we sent off 1,100 emails- we need to double, triple this amount if we are to make the Federal Government listen to workers in our industry. Send and email today- and then forward the link onto every work colleague, family member and friend who supports your right to decent working conditions. Want to do more? Contact Lauren Hutchins on 0423 029 586 to become active in our campaign for decent working conditions in the airlines industry. For more information please read the attached bulletin- and don’t forget to forward it on to your airlines work colleagues. April 17th Happy International Peasants Day – via campesina ! The International Day of Peasant’s struggle commemorates the slaughter by the Brazilian police of 19 peasants of the “landless” movement while they mobilized to get access to some land. sacked 39 Westgate Bridge workers because they refused to take a cut in their wages and conditions below industry standards. The 39 sacked Australian Manufacturing Workers Union (AMWU) and Construction Forestry Mining Energy Union (CFMEU) members were employed last December by Civil Pacific Services, the company sub-contracted by John Holland, under the “West Gate Bridge Project Agreement”, which was signed by the respective unions and Civil Pacific Services. terminating their employment on March 2.
conditions of working people. Already scenes of a vibrant demonstration by union members and their supporters at the bridge every morning and have pledged to continue their demonstrations until a satisfactory settlement is reached with the company. John Holland’s willingness to enter into negotiations might have been motivated by the fact that the company has been unable to replace the sacked workers with a big enough scab labour force willing to cross the picket line and start work on the project. Work Act contains the same ant-strike provisions! If John Holland gets away with slashing Westgate workers’ wages and conditions, union rights and job security this will spread to other workplaces and industries. This is a fight for all working people and communities. United we stand, divided we fall. These courageous workers deserve wide community support! country has ever seen. A disaster that cost the lives of 35 workers. For John Holland to use our bridge to cut people’s wages and conditions is an insult to the memory of anyone associated with the building of Westgate Bridge and the people of western suburbs communities. Housing Trust Board and was active in the SA East Timor Association. Chris now lives in Canberra as an advocate and consultant on workforce and social justice issues. matters which will be conducted by Mr Justice Ian Ross. around the Westgate Bridge and the Westgate site offices. commencing Monday 20 April 2009.
chanting that they wanted their jobs back. argy-bargy, but no-one was injured in the incident. training colleges are exploiting them. president David Barrow said in a statement. forcing some into blackmarket jobs and under-the-counter arrangements. nation’s third-largest export industry after coal and iron. that they would not be allowed to come back to work. the building to continue the negotiations. undoubtedly relying on to break the unions strength on this site. details will be posted here as they come to hand. Turning a lockout into a lockin is great! City Cleaners have been campaigning for better wages and conditions for more than two years. Pickwick group responsible for the Brisbane Square Building has failed to sign the cleanstart collective agreement. Today (18 April 2009) cleaners who are members of the LHMU [Liquor Hospitality & Miscellaneous workers union] protested outside the Brisbane Square Building to make people aware that the Pick group have a responsibility to sign this collective agreement. The LHMU has been conducting the Cleanstart Campaign around Australia for a number of months now, and we have previously advised all our members about this and the LHMU’S “Responsible Contractors Policy”. Union Solidarity folds but idea needs to live on. Union Solidarity as an organisation formally folded at the end of February 2009. The decision was prompted by a lack of resources and a need to rethink the group’s core strategy. However Union Solidarity activists believe that given Union Solidarity’s success the basic concept of Union Solidarity needs to be spread throughout the whole of the union movement. Union Solidarity was formed in 2005 as a response to the Howard Government’s Workchoices legislation. The group played an important role in the Your Rights at Work Campaign, coordinating mobilisations for rallies, distributing campaign information and setting up local community/union groups. Crucially Union Solidarity provided a leadership and organising role in a number of industrial disputes. This was due to fact that the legal sanctions prevented the union that had coverage from playing its traditional role. Most of the disputes that Union Solidarity were involved in were settled through negotiation on terms acceptable to the workforce. In spite of Union Solidarity’s success, in recent times, the demands on the group and attempting to mobilise support from one small and centralised list of union activists has proved unsustainable. The conclusion has been drawn that activist lists need to be generated in every union to face the challenges ahead. A steering committee has been formed to facilitate this important work. The basic concept of Union Solidarity was that we gave committed unionists an opportunity to give other unionists a hand when they were in trouble. Brian Boyd VTHC Secretary has recently said, “The developing impact of the financial crisis gives rise to big challenges for the union movement.” In many ways the current crisis poses a more profound threat to the union movement than John Howard and Workchoices. It’s inevitable that some of the anger and rebellion will spill over to industrial action. When it does those desperate struggles need to be given every chance of success. Our experience has shown us that workers giving other workers on-the-ground solidarity during disputes is crucial. Activist lists built in every union will help facilitate this support. The mass sacking of almost 2000 Pacific Brands workers has devastated the Australian clothing manufacturing industry. But a few remaining employers are determined to do the right thing, writes IEU Journalist Tara DE BOEHMLER. When Pacific Brands moved its manufacturing offshore, the result was major job losses and a massive hole in the nation’s clothing industry. 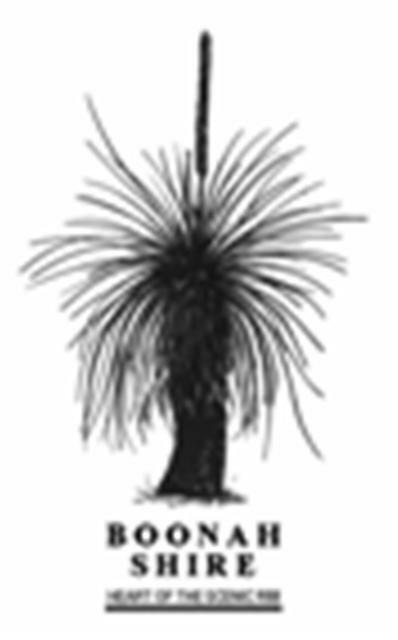 It also created an identity crisis for its brands which, until then, were thought of as consummately Australian, including Bonds, Holeproof, Hard Yakka and KingGee. But in the wake of the loss of what was Australia’s largest clothing manufacturer by far, the brand that has emerged as the ‘new number one’ has no plans to leave. It is also working hard to send a strong message that it is a fair employer. Local fashion label ‘Cue Clothing Co’ directly and indirectly employs about 400 people in the Australian clothing manufacturing industry. Many more are employed in its retail stores. TCFUA Outreach Officer Natasha Flores and Compliance Officer John Owen say Cue is a prime example that “you don’t have to exploit labour to do well”. Cue’s own website spells out the benefits of its approach. It says by “keeping it local” they are able to “respond immediately to current trends, customer needs and keep jobs in Australia”. It adds that Cue “works closely with the TCF Union to maintain an ethical workplace”. John says that while the current financial climate is being used as an excuse for manufacturers to move offshore, it is actually “cheaper than ever to stay in the country … what we’re seeing is just desperation”. “The Pacific Brands scenario is that the parent company is in trouble and they’ve got interests in a whole range of different areas of business. Reports say all the subsidiary companies, like Bonds and King Gee, are viable separate entities. “They’re profitable businesses but because the parent company has suffered greatly, they are trying to maximise their profits. It’s about walking away from paying someone $18 or $20 an hour to paying someone maybe $1 or $2 an hour. * ask your favourite brands to join the Home Workers Code of Practice if they haven’t already. In addition to Cue, there are a number of other Australian labels who are working to do the right thing by their employees, John says. These include Supre, Mr K, Rise Up, Veronika Maine – a subsidiary of Cue – and the TCFUA is also looking into aussieBum. Natasha and John say they recommend these businesses not because they are perfect but because they operate in a transparent way. These businesses abide by the Clothing Trades Award, allowing the TCFUA to monitor their processes and work with them and their contractors to improve practices and ensure workers are paid appropriately. Says John: “This process has created a transparency in the industry”. Workers at a French office of Caterpillar have detained four managers over concerns related to planned job cuts, French radio has reported. The world’s largest maker of construction and mining equipment has announced plans to slash jobs in the United States and more than 700 workers were set to go in France. “We are holding them in the director’s office and we are in the process of talking to them so that they create a company committee to unblock negotiations,” France Info quoted a union official as saying. Recent French labour disputes have been marked by incidents in which workers have locked up managers to secure better conditions for laid-off staff. Last week, in Pithiviers, south of Paris, workers at a factory operated by US firm 3M released the manager they had held hostage for more than 24 hours after reaching a deal on conditions for laid-off staff. The industrial director of the group, Luc Rousselet, was barricaded in an office and workers had refused to let him out until he agreed to more favourable terms for the 110 employees who face the axe. Mr Rousselet eventually left his office early to boos from around 20 workers. A similar negotiating tactic was used by employees at a Sony factory in south-west France in early March. Kassey Dickie hosts weekly 30 minute program of news and discussion about the Victorian (Australian) Trade Union Movement. The politics of labour – manufacture, service and provision in Australia and around the world today. Debra Weddall sent a message to the members of The Union Show facebook. 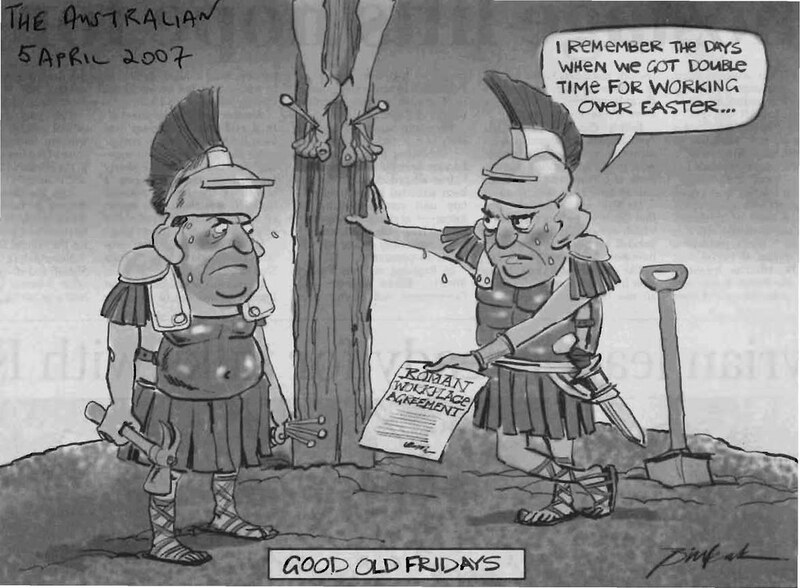 This year: We are going to spend a bit of time with the Fair Work Bill. Attacked by industry for its supposed leniency on right of entry, it has more often been called Work Choices Lite by unions. Notwithstanding the changes sought in union submission to the Senat Inquiry, the ACTU thinks it is “on balance” a good bill. What do you think? Our aim is to let you know what your union wants. Do they love it hate it or would they like to see some changes specific to your industry? If you would like to have a say, please get in touch….we are only too happy to air the views of ordinary union members. Of the people for the people…why not? We also aim to examine job losses apparently stemming from the “global economic crisis” aka “tsunami” the term of convenience for Prime Ministers in need of a simple shot at a conservatively neo-liberal opposition. Really do these job losses stem from said crisis or can at least some of them be attributed to the shedding of jobs in the wake of Howard’s cosy little rearrangement of IR and Labor’s perhaps failure to quickly and properly repeal the bulk of the do. We are about to look at that great barometer of our economy – the car industry and we talk to David Oliver about the Bracks Plan, the GM bust up, and the future of auto jobs in OZ. Certainly some time we will be taking another look at slavery – back to basics the right to trade labour for money must be fundamentally and globally upheld to protect all of us humans from a big backslide. You know I thought EVERYONE was against slavery – THE BIG BAD – but seems a lot of capital interests jest lurv it all over – great commodity people! Also there’s new environmentally friendly technology that will apply to lots of workers. It is sort of the big unknown how different industries will respond to the need, but we can be pretty sure it will have something to do with training. If it will take us forward out of danger then I guess we’ll all be happy to train – wont we? This week however there are those that will! DP World let us in for International Women’s Day to look at gril crane and straddle drivers on the job and we got to interview the women on how much they love their jobs – it was sooo uplifting! Tonight also we show the lovely Dan Archer and the beautiful Jennifer Parisi-O’Donnell at the Trades Hall International Women’s Day Rally. And we sat in at the AWU women’s seminar. All the women that attended were so contributive and so full of ideas about how to counter job losses. And they were stridently in support of their union and so aware of their industrial relations. That was a feast. We are so lucky to do what we do at The Union Show. It is an inspiring job dealing with good honest material in the interests of our fellow workers. We also get to do some pretty exciting stuff. Tugs, fires, cranes, planes. This is not boys stuff my dears – this is the stuff of LIFE. We were HAPPY to win the award for the Outstanding News and Current Affairs program. But we are happier to be able to bring to an audience of 70,000 an alternative political truth; that labour is the bottom line of production, that what is fair is a fair days pay for a fair days work, that you don’t go to work to get sick or die, and that we are all in it together. Community radio station 3CR breakfast show did an interview about these plundered wage-slaves situation. recent sackings the largest AMWU shop in the state. will not cover all of the $25 million they are owed. working on localization building transmissions in Korea and China. the localization programs kick in overseas. say, “your fired all the money is gone”. No public support for 7-Eleven’s dodgy behaviour! UNITE successfully blockaded another 7-Eleven store in the Melbourne CBD yesterday. UNITE is calling on 7-Eleven to stop breaking the law and start paying their workers properly. The response on the picket was perhaps the best we have received yet. Practically no one supports paying people as little as $8 per hour. Hundreds of names were collected on our petition against low pay and another 2000 leaflets were distributed to customers. Many students from RMIT University were keen to stop by to find out more about the campaign. Again we met several who had friends or family members working for 7-Eleven. One young woman told us that her brother worked at a 7-Eleven store in the northern suburbs. She said he was only getting paid $9 per hour, well below the minimum wage. She took information and membership forms and said she would give them to all the workers in the store. Members of the RMIT student union also stopped at the protest and took information to distribute on campus. Stay tuned to the UNITE website for details of the next action planned for mid next week. Here in Melboring the wage slaves at 7-Eleven are protesting at least weekly & finally organising… Instead of $14+ an hour minimum wage the international students are getting only $8 = RIP OFF ! UNITE set to hit 7-Eleven again – Say NO to the rip-off! From 5pm – 6pm this Thursday October 16, UNITE will stage an action outside the 7-Eleven store at 391 Swanston Street Melbourne. This store is directly across the road from the RMIT University City Campus. While a few 7-Eleven workers have told us that they have had slight improvements made to their wages, many more have contacted us recently to tell us about the low wages and poor conditions in their stores. We are still receiving complaints that some 7-Eleven workers are being paid as little as $8 per hour. At the same time 7-Eleven won’t give UNITE a firm commitment to stop breaking the law. Every time we stage an action we meet more and more workers that are being underpaid. We now have evidence of serious underpayments that extends to stores in all areas of Melbourne. We have also had contact with workers interstate. If we are unable to sort this out with 7-Eleven head office, we will have no other option but to further involve the Workplace Ombudsman. It also goes without saying that the regular blockades and actions will continue. International students forum – Know your rights at work! UNITE has been invited to participate in an international students forum that is being organised by the Centre for Multicultural Youth (CMY). UNITE organisers will be speaking on a panel about international students and workplace rights. We will also be conducting a workshop on organising in the workplace. The forum will also feature sessions about visa rights, housing and campus related issues. UNITE encourages all international students to attend, but especially we would like to invite 7-Eleven workers. This event will be a good opportunity for 7-Eleven workers to meet with UNITE organisers to discuss their issues. The details of the event are: 10.00am – 3.30pm Saturday October 25 at the Monash University Law Chambers. 472 Bourke Street Melbourne. As you are well aware the union movement nationally is gearing up for a major campaign to abolish the ABCC and defend Noel Washington. Demonstrations have been called in major cities on December 2nd to coincide with Noel Washington’s first appearance in court. http://www.rightsonsite.org.au, where you can get involved in the campaign. Union Solidarity is hosting an online statement of non-cooperation with the ABCC. You can go to the link below to add your name. The purpose of the statement is to demonstrate publicly how strongly and committed people in this country are to basic human rights and freedoms. The VTHC Executive Council has recently re-affirmed its decision to call an all unions’ delegates and shop stewards’ meeting. Reports on the attempts by the ABCC to jail CFMEU Senior Official, Noel Washington and the overall, ongoing Your Rites @ Work Campaign will be presented. NW is due to appear in the Geelong Magistrates Court in early August. Sunday mornings 9.30am-10am for updates or check with your nearest CFMEU/ETU/Plumbers construction industry site delegate. Below is notification of a rally organised to coincide with a court case where an employer faces a number of charges relating to his alleged actions on a picket line. If you are in a position to attend the rally or the case please do so. Anthony Elliott, boss of Elliots’ Engineering is the defendant in a trail arising out of a community assembly in May 2007. Elliot faces a number of charges. The prosecution will argue that he drove a truck in a reckless manner through a picket line. A number of Union Solidarity supporters sustained injures as a result of Elliot alleged actions. Of course it is the proud boost of English justice that someone is innocent until proven guilty. Lets hope that justice is more than done on this occasion.